You’ll find the right space, in the right places, in the Leland. On the first floor, an airy kitchen with island dovetails with a café area and gathering room, while an outdoor patio is perfect for barbecuing with friends and family. A staircase at the entry leads to a second floor owner’s suite, complete with dual walk-in closets. Two additional bedrooms are perfect for guests or your own flex space. 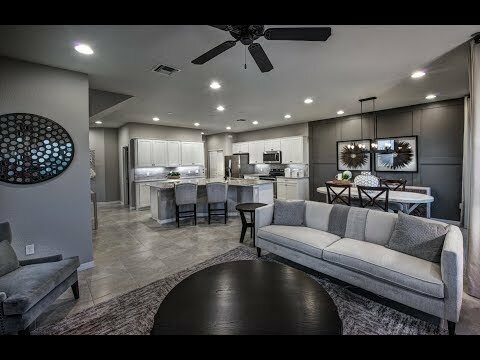 Step inside Leland to see the luxury design and inspired features that deliver the lifestyle you deserve. The Leland, a two-story townhome, maximizes its design with an open layout that is perfect for entertaining. The home features a large kitchen with an oversized island overlooking the gathering room, café, and outdoor patio.